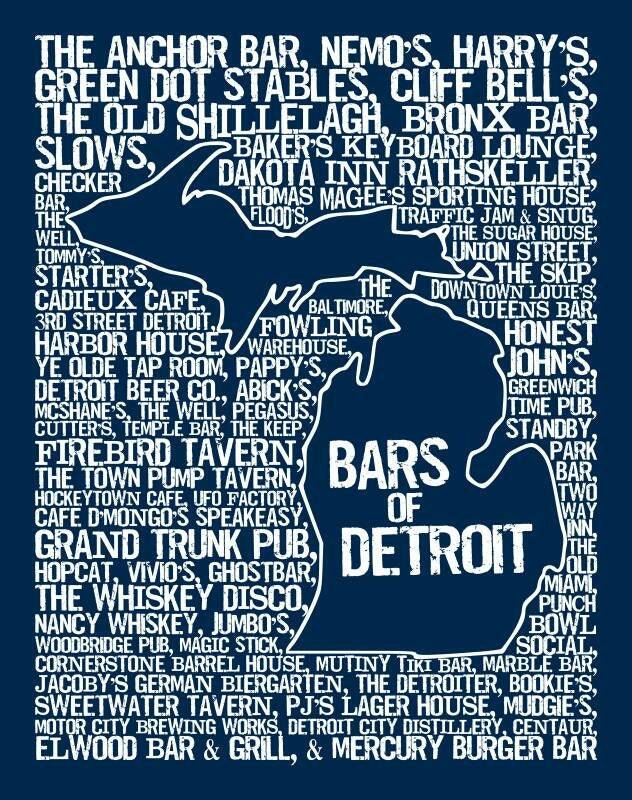 The bars and establishments of any given town help define the very character of said town. 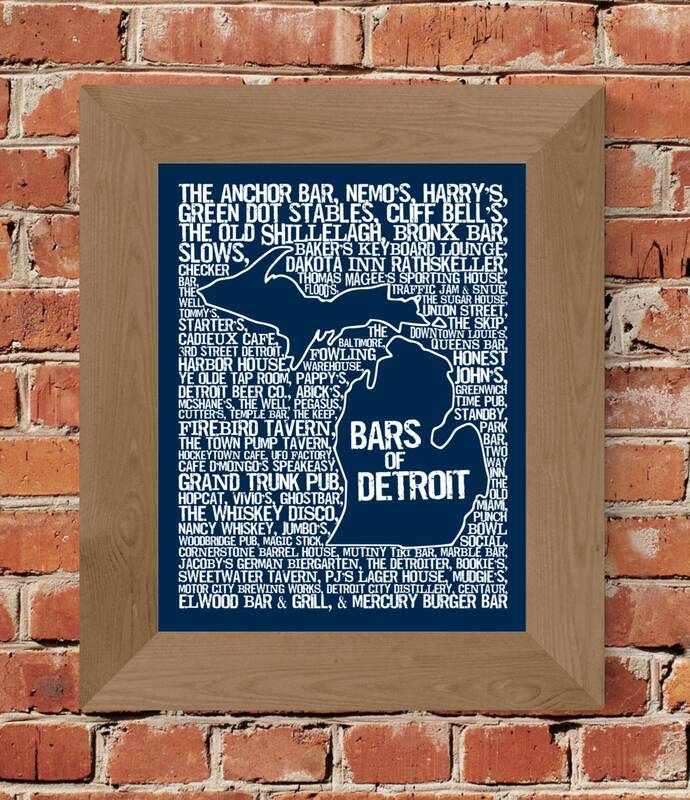 This 11 x 14 dark blue Bars of Detroit Word Map contains a collection of all your favorites from around the D, from historic sites like the Elwood and Baker's Keyboard Lounge to more modern places like Green Dot Stables or Hopcat! 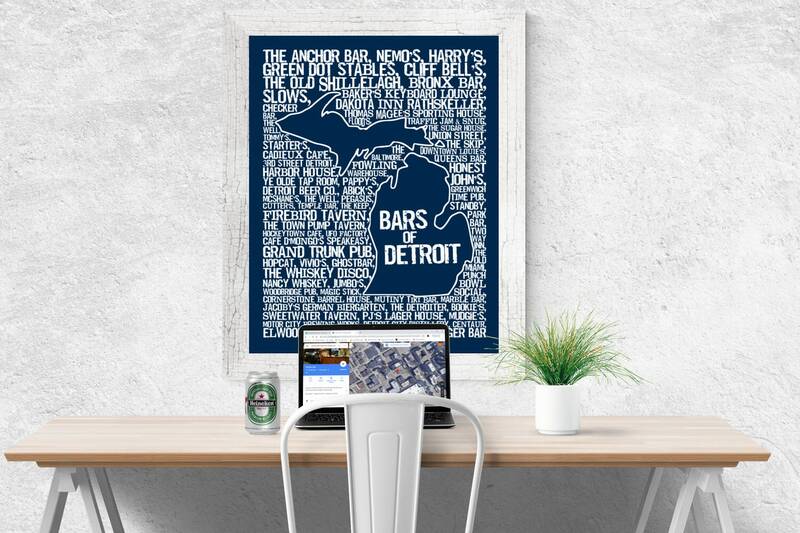 This piece would be perfect for any man cave, bar, or anywhere your house needs a little bit of beers and such injected into it!